China will host a two-day "Belt and Road" Forum in May. This will be the first forum since China initiated its international cooperation strategy, namely the One Belt One Road Initiative. The strategy bases its name and idea on a grand history of open trade between China and the outside world. 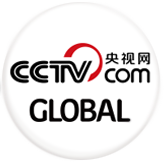 CGTN sent reporters Yang Chengxi and Zheng Yibing to the historical starting points of both the land-based and maritime silk roads. They discovered how local governments, businesses and organizations are leveraging the opportunities brought by the initiative. Fujian Province was one of the starting points of the ancient maritime silk road. Along the province's coastline are small towns like this, where people have traded with the outside world since around the Tang dynasty. Fujian’s coastline stretches 3,700 kilometers long. Over the centuries, it gave birth to several of ancient China’s biggest port cities. Behind me is the relic of a commerce ship that sank at least 7 centuries ago near Quanzhou city, one of the province’s major ports. It is a 24 meter long ship that were carrying things like spices, ceramics and fur, which traders were planning to sell to distant countries big and small. “During the 10th to 14th century, when the maritime silk road was at its height. Quanzhou city was the biggest hub in the orient and the eastern end of the silk road,” said Zhu Zhenping, Quanzhou Vice Mayor. In Quanzhou city, you can find many museums and sites that are testament to how China's long history of trade had brought forth a dynamic exchange of different goods and cultures. This is the oldest existing mosque in China, which is over 1000 years old. With open trade, the historical Quanzhou city was the pinnacle of cultural diversity in ancient China. Carved on this stone relic are Christian scriptures. In one of the oldest temples in the city, the pillars were made with Hinduism aesthetics. Quanzhou’s officials have submitted applications to UNESCO this year for these places to become World Heritage Sites. “We are applying for 16 places in the city to be World Heritage Sites of 2018. These places relate to ancient Quanzhou’s cultural, trade, and maritime achievements,” Zhu Zhenping said. China aims to revive the maritime silk road. That needs joint efforts from governments, businesses and citizens, and they have a huge tradition to honor.